Thank you for all of your support in 2009! I am looking forward to 2010 and all of the great things sure to come! I thought I would share some of my favorite samples that are still available to close out 2009! 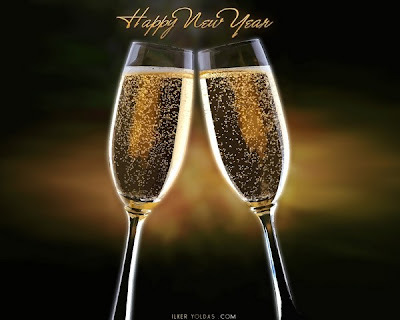 I hope that 2010 is better than you could ever expect it to be! 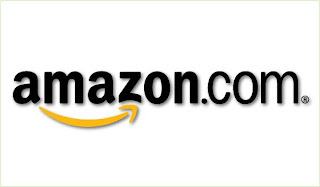 - Make sure "FREE Two-Day Shipping with a free trial of Amazon Prime" shipping is selected. Start the New Year right. 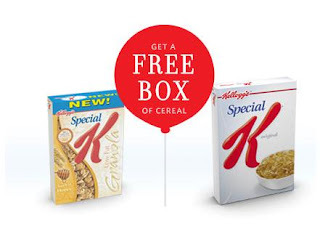 Take the Special K Challenge and buy one box of Special K Cereal, get one FREE. Sign up to start your challenge and to get your coupon. Offer ends January 31st, 2010. Go here to request a free Lip Palette from Bed Head. The site is running slow but is working. Supplies are limited. One per customer. Shipping included, allow 3 to 4 weeks. Offer good in the continental U.S. only while supplies last. All orders received after supplies have been depleted will be cancelled. Wow here is something you don't see everyday, there are a ton of L'Oreal coupons on Coupons.com! I was using the zip code: 85242 when I found these coupons. Be sure to print them now I'm not sure how long they will last and they have the potential to be reset on the 1st! Also check out the coupons that are available because many of them will no longer be available after the 1st of the year! I love Honey Nut Cheerios but they are much more fun to buy when you can save a little on them! Go here to print a coupon for $1.00/1 and $1.00/2 boxes! 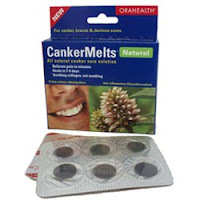 You can also visit EatBetterAmerica.com for a $1.00/1 Cheerios (in the yellow box) coupon! GO HERE to play a game. 1,000 Nestle Crunch bars are awarded each day! Currently, when you go here and register to receive updates on Nickelodeon Video downloads and other Nick Jr. offers, you will be able to get a FREE Dora the Explorer game download! After registering, you’ll receive an email confirming your registration with directions on how to access your FREE game! The email will have a redemption code with a link to redeem your FREE Dora game download. When you click on the link, it will automatically have the Dora’s World Adventure game download in your cart priced at $19.99, but once you add the redemption code in the box provided and it will deduct $19.99! Register HERE to print your $1.00 off coupon for a package of Smucker's Uncrustables. And visit the Smucker's Promotions website to see other special deals including free recipe guides and more! Now that Christmas is over it is time to start thinking about the New Year and with the new year many people like to make resolutions. The most common resolution is weight loss or to get in shape. If this is your hope for 2010 Curves may be the answer. Right now they are offering you 30 days for FREE. Click HERE for more information! Oil Change(s) $9.99 at Sears! On January 1st, Sears will be offering oil changes for $19.99, and they come with a $10 Valvoline rebate. 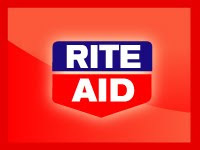 This is a one day only rebate that will be available on January 1, 2010. I strongly encourage you to call your location to see if they are offering this deal! Sign up to receive $4 in coupons, and enter for a chance to win a free box. Over 50,000 full-size boxes will be given away! After I signed up it said "Thank You for signing up. Over the coming weeks you will receive 4 emails each with a $1 coupon. 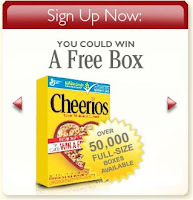 If you win a free box of Cheerios® cereal, you will be notified by mailin the next 6-8 weeks. " 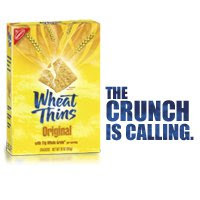 Become a fan of Wheat Thins Facebook then scroll down and look for a coupon link on the left hand side. You’ll be able to print a $1 off Any One Wheat Thins SmartSource coupon. CVS puts the small boxes on sale for $1 quite often which will make them FREE! Coupons.com has added a $5 coupon for Leapster games. Toys R Us has them B1G1 $24.99. Use 2 coupons and it makes it $7.50 per game!!! See my master list of available coupons on Target.com HERE. Not all of these are Target's store coupons since they now include manufacturer's coupons also. You will find the weekly ad in the store, you will need to pick it up to use the coupons. You can also view the ad and submit your Single Check Rebates go here. To review the coupon policy go here. Just in time for your New Year's celebrations, here is a coupon for $2.00/2 Welch's Sparkling Grape Juice. Not as good as the $2/1 coupons we've seen in the past but it is still a good coupon. Go here to print it in IE and here in FF. 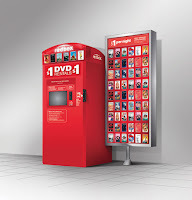 Inside Redbox is reporting that the code TGZD57V will get you a FREE rental. Not sure if this is a one-day code or not. Sweet n' Low 100 ct. Thanks My Baton Rouge Mommy for putting this together each week! It's getting close to the end of the month so make sure that you log into your P&G BrandSampler account and choose the samples and coupons that you want to receive. If you have choosen samples or coupons earlier in the month you will not be able to register again. Look for these: Walgreens Healthy Savings Book, ABC Coupon Book, and the December Coupon Book.